THE MUMMY. (DVD Artwork). ©Universal. 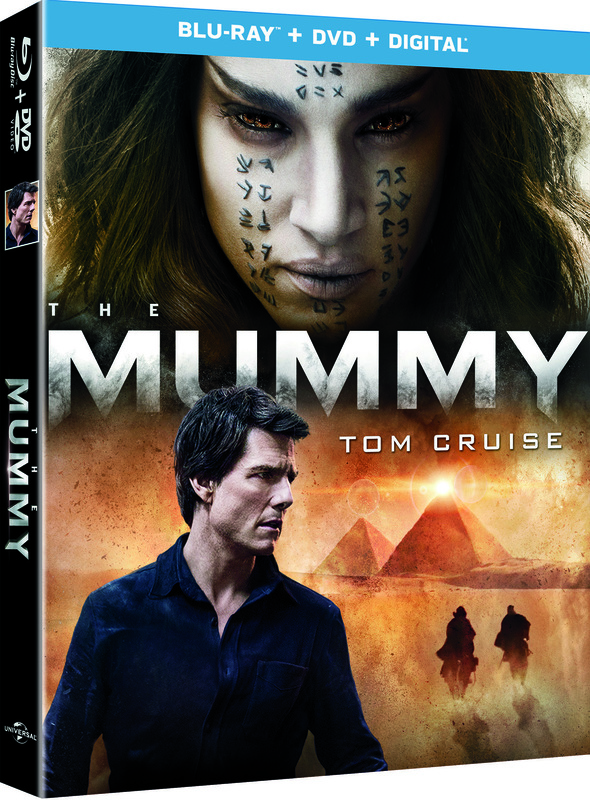 An ancient evil is unleashed after centuries of captivity and her lust for revenge threatens to destroy the world in “The Mummy,” a spectacular saga unwrapping on 4K Ultra HD, Blu-ray, DVD and On Demand on Tuesday Sept. 12, from Universal Pictures Home Entertainment. It also is available on digital platforms. Tom Cruise (“Mission: Impossible” franchise, “Top Gun”) battles the ultimate evil in a breathtaking version of the legendary and mystical monster that has captivated and terrified humankind for centuries. With more than an hour of never-before-seen bonus features, The Mummy 4K Ultra HD, Blu-ray and DVD reveal the deepest secrets behind this sumptuous and wonder-filled epic. Thought safely entombed deep beneath the desert, an ancient princess (Sofia Boutella, “Star Trek Beyond,” “Kingsman: The Secret Service”) whose destiny was unjustly taken from her is awakened in our current day. Her malevolence has grown over millennia and with it come terrors that defy human comprehension. 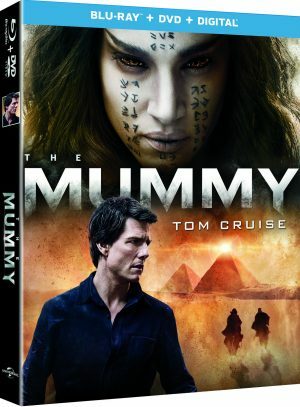 From the sands of the Middle East through modern-day London, The Mummy traverses wonder, thrills and imagination. The latest from director and producer Alex Kurtzman (“Star Trek Into Darkness,” “Now You See Me”) and producer Chris Morgan (“Fast & Furious” franchise), The Mummy also stars Oscar winner Russell Crowe (“Gladiator,” “A Beautiful Mind”), Jake Johnson (“Jurassic World”), Annabelle Wallis (“King Arthur: Legend of the Sword”) and Courtney B. Vance (“American Crime Story: The People v. O.J. Simpson”). Random Media and Stanulis Productions present ”The Networker,” an indie comedy starring Steve Stanulis and featuring William Forsythe, Sean Young, Philip Moon and Deborah Twiss. It is available on DVD and digital platforms on Tuesday Sept. 12. “The Networker” tells the story of a slacker son who is forced to step up and try to save the family business from bankruptcy. It’s a hilarious race against time to see if he can make a connection and prove his value. Animated pint-size hero Elena is back with all-new adventures coming to DVD Tuesday Sept. 12 with the release of “Elena of Avalor: Celebrations to Remember.” Join Elena and her friends and family as they celebrate holidays that honor the past, cherish the present and look forward towards a magical future. In these new adventures Avalor celebrates Navidad, Dia de los Muertos and Carnaval. There’s something special to look forward to with each holiday. The DVD is packed with laughs, new characters to cherish, and heart. Includes Four Celebration-themed episodes, plus two bonus episodes and an exclusive Elena Locket. The new first-ever television adaptation of Evelyn Waugh’s classic novel, “Decline and Fall” makes its DVD debut Tuesday Sept. 12, from Acorn TV, an RLJ Entertainment brand. When Paul Pennyfeather is unfairly expelled from Oxford University, that expulsion kicks off a disastrous chain of events that no one, least of all Paul, could have anticipated. 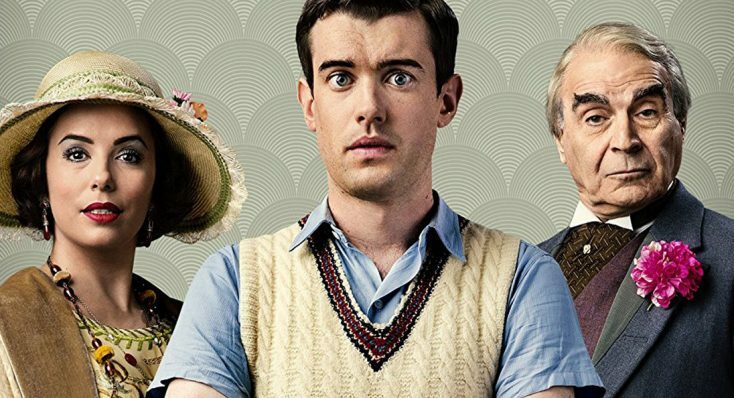 Starring comedian Jack Whitehall, David Suchet (“Agatha Christie’s Poirot”) and Eva Longoria (“Desperate Housewives”), the DVD features three episodes ($34.99 suggested retail price, Amazon.com) and bonus behind-the-scenes featurettes. “Decline and Fall” made its U.S. premiere in May on Acorn TV, North America’s most popular and largest streaming service focused on British and international television. Paul Pennyfeather (Whitehall) is a quiet and unassuming theology student at Oxford. But his plans for an uneventful life as a priest fall through when he is unceremoniously expelled after a careless prank by one of the university’s infamous social clubs. Without a private fortune to fall back on, Paul is forced to take a position as a teacher at a third-rate boarding school run by Dr. Fagan (Suchet). All too quickly, it becomes disastrously apparent that Paul is not fit for the position, but a visit from the beautiful and wealthy American mother of one of his students (Longoria) stirs up hope that his luck may be changing. Based on the classic satirical Waugh novel Waugh (“Brideshead Revisited”) and adapted by James Wood (“Rev”), the miniseries co-stars Gemma Whelan (“Game of Thrones”), Stephen Graham (“Boardwalk Empire”), Tim Pigott-Smith, Vincent Franklin (“Happy Valley”) and Douglas Hodge (“The Night Manager”). Featuring a guest turn by Oscar- and Golden Globe-winning actress Cate Blanchett (“Elizabeth”) in a rare TV appearance, the award-winning Australian comedy-drama “Rake: Series 3” debuts on DVD on Tuesday Sept. 12, also from Acorn TV. In a Silver Logie award-winning role, Richard Roxburgh (“Moulin Rouge!”) stars as the brilliant, but destructive barrister Cleaver Greene in this top-rated series. The three-disc set features all eight episodes of the season ($39.99 SRP, Amazon.com) and bloopers. “Rake: Series 3” was also featured in May on Acorn TV. In Series 3 of the hit Australian comedy-drama, smart but self-destructive lawyer Cleaver Greene (Richard Roxburgh) languishes in prison on manslaughter charges. After serving several months surrounded by old enemies, fellow lawyer Scarlet (Danielle Cormack) wins his appeal hearing. Cleaver is overjoyed to be released, but soon finds that things have changed since he went inside—Scarlet has opened her own practice, his best friend faces a startling diagnosis, and his already bad reputation has been seriously damaged. Not even criminals want to be represented by Cleaver, until a corruption scandal involving casino mogul Tikki Wendon (Geneviève Lemon, “Top of the Lake”) and former Attorney General Cal McGregor (Damien Garvey, “Jack Irish”) yields Cleaver new clients. Guest stars in include Magda Szubanski (“Kath & Kim”), John Noble (“The Lord of the Rings: The Return of the King”) and Robyn Nevin (“The Matrix” films). Twins, Krystal and Donny, played by real life siblings Doug and Kristin Archibald, have been co-dependent for 28 years, still living together in a converted one-bedroom house in “I Love You Both,” available on DVD and digital platforms Tuesday Sept. 12. As Krystal struggles to get over her ex- boyfriend and Donny struggles to come to grips with the fact that his new music manager might not be all that he claims, they both meet and starting falling for the same guy, Andy (Lucas Neff, “Raising Hope”). Fearing the idea of having to go their separate ways, they remain in denial about the fact that they’re both dating him until he eventually picks only one of them. His decision forces them to confront the fact that they can no longer live the same life. With nowhere to turn for advice except each other and their only two friends— Krystal’s co- worker Linda (Artemis Pebdani, “It’s Always Sunny in Philadelphia”), and their mother (Charlene Archibald)—the twins are finally forced to look for answers from within. Just in time for the holidays, Front Row Features is giving away something families can enjoy together—a copy of Disney Junior’s “Elena of Avalor: Celebrations to Remember” on DVD! To enter the contest, simply email socalmovieeditor@aol.com by Sept. 18 with your favorite holiday that Elena celebrates in the body of the email: Navidad, Dia de los Muertos or Carnaval. Front Row Features is also giving away a copy of the first installment in Universal Pictures’ eagerly anticipated Dark Universe, “The Mummy,” on Blu-ray/DVD Combo Pack to three lucky readers. Simply email socalmovieeditor@aol.com by Sept. 18 for your chance to win. Good luck! Next PostPhotos: ‘Mummy,’ ‘Decline and Fall,’ ‘Rake’ and More on Home Entertainment … plus giveaways!! !